From the time Rush Medical College first began in 1837, Rush physicians and scientists have helped drive medical science forward, determining the cause of scarlet fever, identifying clot formation in coronary arteries as the cause of heart attacks, discovering sickle cell anemia and developing the world’s first implantable pacemakers. More than 1,600 basic, clinical and population studies are currently underway at Rush, elucidating the underlying mechanisms of disease and developing innovative minimally invasive treatments. In recent years, the quality of our research has secured increasing levels of support from the National Institutes of Health. Rush’s NIH funding rank has been increasing even when NIH funding has decreased. Collaboration is key to research, and Rush is embarking on an exciting new phase, as we look to strengthen collaborative bonds among our departments and foster new ones. The Office of the Vice Provost for Research, working with the Office of Research Affairs, supports our faculty and staff in these pursuits. 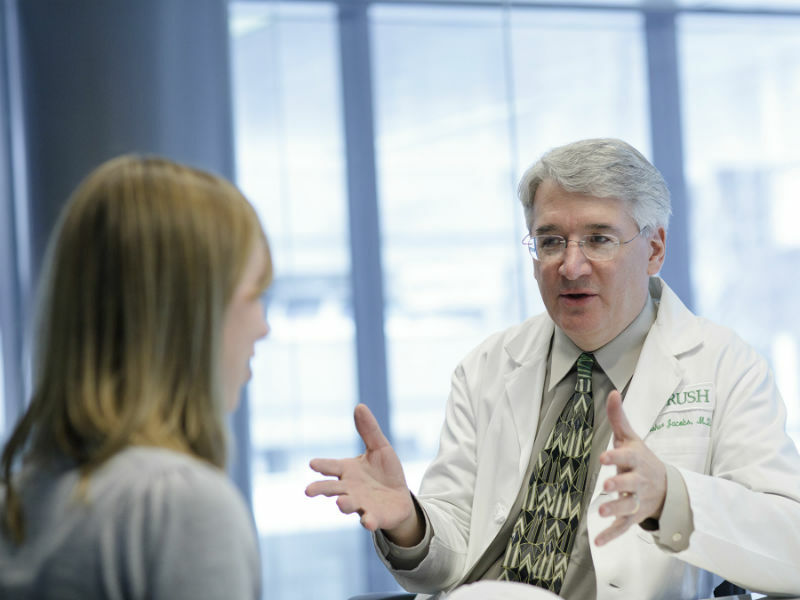 Ultimately, the quality of clinical care at Rush depends in large part on the steady pursuit of knowledge by our scientific community and the rapid application of new discoveries to our patient care and education mission. We’re looking forward to what lies ahead. Are you interested in volunteering for research work opportunities at Rush? Deadline for submitting an abstract is Monday, January 15.